2 States- 2 much of EVERYTHING! There was a time when Indian books rarely witnessed cinematic translations. Our films were mostly the same old wine served in a new bottle. Then came a new breed of film makers who wrote stories which were edgy and fun. But some how once in a while, there was always a film which was adapted from a book. Chetan Bhagat changed all that. The most read Indian author writes books with a single point agenda- to see them made into films. And I will not disagree that most of stories have a seed which can see fabulous cinematic translations if only it is innovated well. This is where Kai Po Che worked and 2 States fails. There is nothing new which 2 States offers and stays loyal to its literary source. But that is the least of its problems. at 2 hrs 30 mins, its a film which is 2 long, 2 boring and 2 pointless which should have ideally ended in less than 2 hours. Why then is it doing so well? 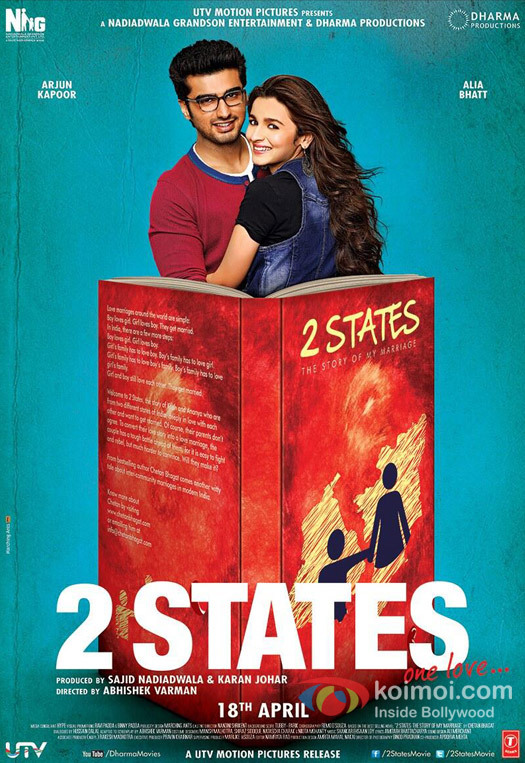 Blame it on the promotional campaign, the fan following of 2 States the novel and Alia Bhatt. Yes you read that right. 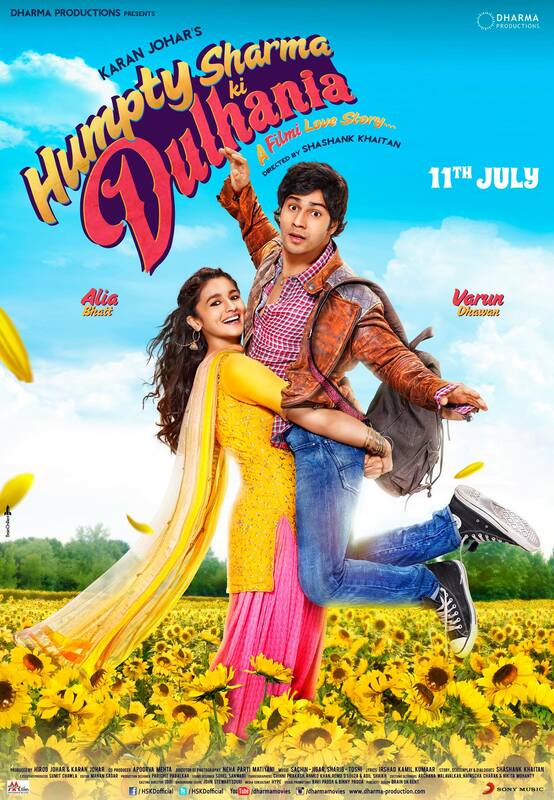 The 2 film old Alia Bhatt scorches the screen and is the single most redeeming factor of the film. The story is about a typical boy and girl who fall in love and agree to marry each other. What they sweat over for the rest of the film is marrying their families. The North vs South debate is stretched like a chewing gum and there wasn’t a single cliche which the director missed. As the film huffs and puffs to its end, we see both the leads Krish and Ananya slogging over getting accepted by the other family. I would give credit where its due. Arjun Kapoor and Alia Bhatt make for a cute couple, but in front of Alia’s charisma, Arjun’s act simply pales. The man who must be used to rough and tough roles by now, tries his hand at playing a upscale Delhi boy for the first time and doesn’t really falter. To support the sprightly young pair, we have Amrita Singh who still has the gravitas and Ronit Roy who snarls his way through as the boy’s parents and Revathi and Shiv Subramanium who are graceful in their parts. With a spunky soundtrack and beautiful cinematography, all the film needed was crisp editing and that would have made it work like a charm. But sadly, that is not the case and the film remains a string of beautiful images strung together which as independent scenes make for a good watch, but as a whole film tests your patience. Director Abhishek Varman makes a confident debut and the combo of Dharma and Nadiadwala esnures that he gets the crew and the locations he asked for. IIM Ahmedabad looks beautiful on camera and appears fresh. But all said and done, it is Alia’s performance alone which I take back home from the film. If her performances in her last 2 films are anything to go by, this is an actress who will go a long way. Calling her phenomenal would be an understatement, sadly cant say the same about the film. 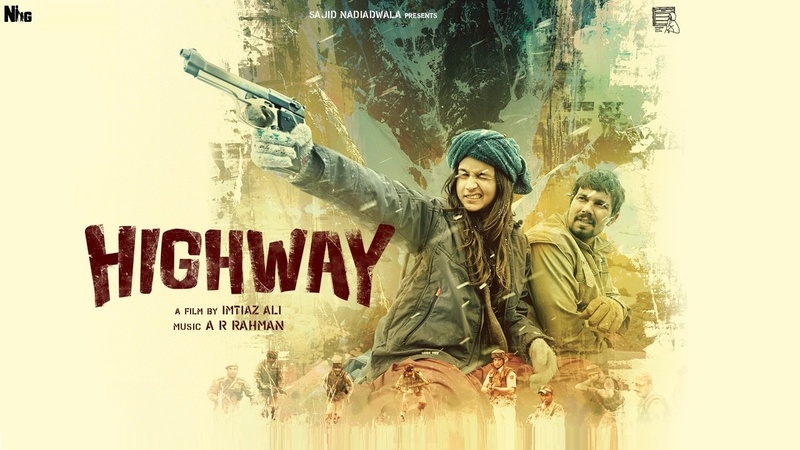 Highway- A remarkable film which leaves you spellbound! Let me put my biases on the table before I start this review. Imtiaz Ali is my favorite director. His body of work is incredible and the fresh perspective he gives to all his love stories has left me SOLD each time. Add to that the leitmotif of travel which is such an important of all his films is also one of the reasons why I am such a big fan. And this film is all about TRAVEL. So ever since the trailer was unveiled, my curiosity was piqued. The star cast was the only thing which was bothering me. After all, casting Alia Bhatt as a lead actress after her school girl act in Student of the Year came across as hara-kiri to me. How wrong I was. It turned out to be an Alia show at the end of it, with Randeep Hooda brilliantly underplaying his part and bringing a simmering intensity to his character which is sure to add gravitas to his glittering career. Highway is not about the plot. It is about the experience. The plot is relatively simple. A rich girl is kidnapped by a gang of thugs and in the course of the journey, she develops feelings for her kidnapper. What differentiates the film from the rest is the transformation Alia’s character goes through. Add to that, the picture postcard locales right from the dusty roads of Gurgaon to the salt pans of Sambhar and the snow clad mountains of Himachal, the locations play a very important part in the film. In fact, if I may so, the locations are the 3rd lead of the film. Combine that with a phenomenal score by A.R Rahman and you have just watched another gem from a man who can do no wrong. The dialogues which appear rather sketchy have their own charm. Unrehearsed and written on the spot, they seem to fit the film like a glove fits a hand. But what wins you over are moments of silence punctuated by raw ambient sounds. Rahman keeps his background score very minimal and that works just fine. Coming to the performances, Alia Bhatt in only her second film delivers a knockout performance. While its too early to say its her best ever, it will surely be a task for her to supersede this one. Randeep Hooda is as usual brilliant and his overall look is terrific. Weather beaten and spouting Haryanvi like a pro, he plays the goon to perfection. The cinematography by Anil Mehta is top-class. Its not just the visuals, but his decision to pause and let you admire the flow of a stream, the snow clad mountains, the beautiful Kashmir valley is what works best.The sound design by Resul Pookutty is an ace and is the heart of the film. About the story, all I can say is that this is not one of Imtiaz’s best works as a writer but then the director in him takes care of the rest and leaves you with a satisfied movie experience. Highway is one of the most important films of recent times and probably one of the most defining ones. This ride is recommended pronto. Hasee Toh Phasee – A Spectacular Yin and Yang take on Romance! When two completely opposite schools of film making come together, the one thing you can be assured of is that you will be served a delicious film. So, when Karan Johar and Anurag Kashyap shook hands on a film project, it got me thinking on the template of the film. Thankfully, the film takes the Dharma approach and gives it the Phantom touch to create a film which takes the done to death Bollywood romance and gives it a fresh new coat of paint. Siddharth Malhotra and Parineeti Chopra play the perfect Yin and Yang to each other in this Rom com which keeps you smiling all throughout. No slapstick here, nno over the top comedy as well. Just a warm story garnished with dollops of romance and a bucketful of smiles is what we get. And as a bonus we get a fabulous performance from not only the lead actors but also the supporting actors. Hasee Toh Phasee is about Siddharth and his love story which begins right at the onset. His love for Adah Sharma is defined by some rules. He needs to continuously prove himself to be worthy of her love and yet he wont let her go as he realizes how difficult it is to get into another relationship. In walks Parineeti Chopra, who plays Adah’s loony sister and sparks fly. Over the course of a week, Sid realizes his love for Pari and decides to take the plunge. The story isn’t anything new, but its the treatment which wins you over. There are characters whom you simply fall in love with. Like Manoj Joshi who plays Parineeti’s father. His endearing love for his daughter really touches your heart or a Accapella singer from Kanpur whose bunch of funny antics easily win over you. Throw in some soulful songs, some amazing cinematography and the good ole Bombay seen through a new perspective and you have a film which you have to like. Director Vinil Matthews makes a confident debut and narrates a story which is real as well as endearing. Coming to the actors, Parineeti Chopra is a scene steal-er that we have realized by now. This is her 4th film and she already looks a 50 film veteran by the way she acts. Siddharth Malhotra is a revelation and he plays the cool, silent lover boy with aplomb. A word here for Kashyap’s dialogues- they ROCK!!! If you have been waiting for a love story which you can relate to, then this it! Go watch Hasee Toh Phasee and the smile you will have plastered on your face at the end of the film would tell you why the film was named so!! Gori Tere Pyaar Mein: A futile exercise in self depreciation!!!!! 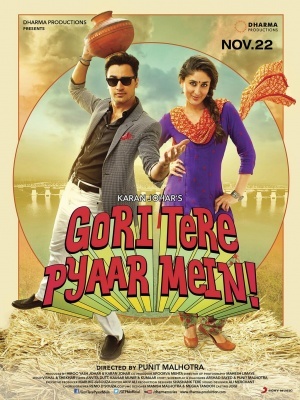 Punit Malhotra, who had burst onto the Bollywood bandwagon with a surprise hit called I Hate Luv Storys a couple of years back, returns with his second directorial venture called Gori Tere Pyaar Mein and yes, before you ask, the GORI in the title is a reference to Kareena’s complexion. And after watching the film, I have just one question for Punit- Why Imran? Or rather why Imran again? The director who probably decided to try his luck for the second time by casting Imran surely doesnt realise the meaning of the word Miscast. And alas, this film is all set to be a resounding flop, both commercially and critically. In the hands of a better and more charismatic actor, this film could have been a mega success. Alas, that is not going to be the case. The story is about an aimless guy who prefers to party wee into the night instead of attending his aunt’s funeral. 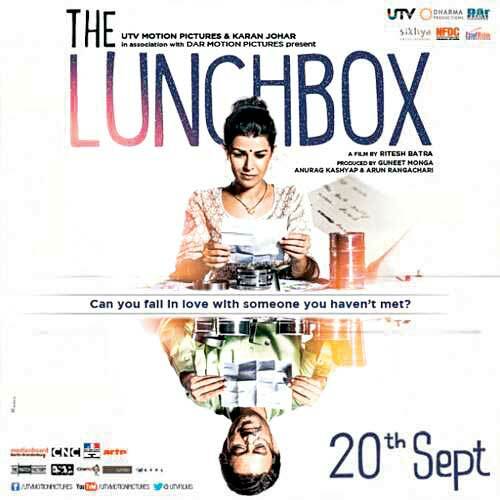 But his life changes when he comes across a wannabe social worker girl who impresses him with a first Tooh. Then begins the clash of ideologies between a yuppie who doesnt care about anyone other than himself and an activist who finds a new issue everyday to fight for. While they break up at the end of the first half, the guy goes looking for her in a godforsaken village where she has been camping for 11 months, doing god knows what. But as soon as the guy reaches the village, she remembers that they have a bridge to build and this makes the guy who had forgotten that he has studied architecture spring into action. The rest of the film is about how he finally manages to build the bridge and in turn bridge the gap which existed between him and the girl. Too smart, are we? My heart goes out to Kareena Kapoor. She looks luminously beautiful in every frame. But alas, with zilch support from Imran Khan, there is only this much she could do. In fact, even Shraddha Kapoor steals away the couple of scenes where she features with Imran. The rest of the cast is ho hum and the chemistry between Imran and Kareena is as cold as the Shimla winters. Infact, Imran manages to establish more chemistry with Esha Gupta who stars in a song than he does with Kareena in the whole film. The songs are quite dancy and peppy, but with such a shoddy script, even good music doesn’t really help matters. Mahesh Limaye captures each frame with delicate hands and gives us a visually nice film to look at. But alas, the film suffers from the predicament which plagues most of KJo films. Behind all that gloss and glamour, there is a void where ideally there should have been a script. And for that I blame the director Punit Malhotra, who is one of the writers. If you must watch this film, then be prepared to come out feeling confused just like I did wondering why do people still cast Imran Khan who has exactly 3 expressions in his repertoire.